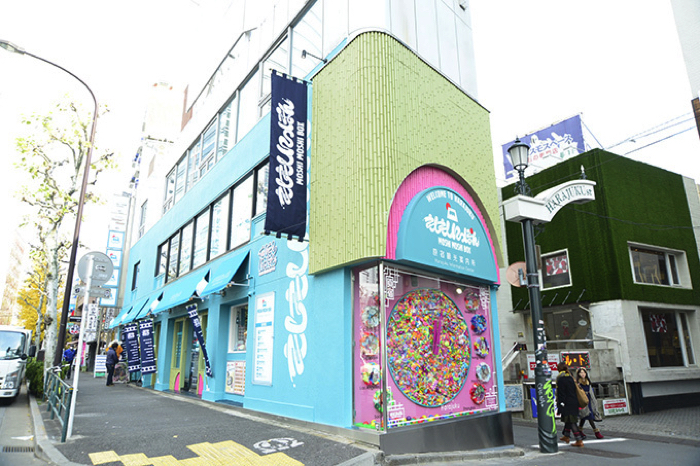 The MOSHI MOSHI BOX Harajuku Tourist Information Center, which was established by the MOSHI MOSHI NIPPON Project under management support from the Shibuya City Tourism Association, officially closed its doors in January 2019. Since opening 4 years ago, the MOSHI MOSHI BOX (MMB) has always striven to provide tourist information and aid to sightseers in Harajuku, especially foreign visitors to Japan, by offering official multilingual maps from the Shibuya Tourism Association, guidance in multiple languages, foreign money exchange, baggage storage and more. This enabled the MMB to become recognised as a landmark of Harajuku overseas that is used by countless tourists. What has attracted remarkable attention at the MMB is the huge World Clock that decorates the outside of the building. 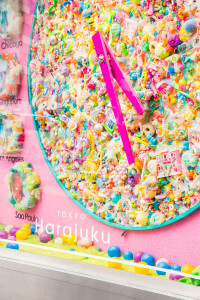 Created by Sebastian Masuda, the clock became a popular photo spot amongst tourists in Harajuku. Many people have posted photos of themselves next to the clock on social media, making it become a monument that symbolises Harajuku culture. We have received a lot of wishes from people to preserve the clock. The date on which the clock will be taken down has yet to be decided but it will be disassembled at some point. With only a year left until the Tokyo 2020 Olympics there is much construction work going on at the event’s main site which is located in a neighbouring area. Harajuku and its station, which will be the doorstep to Harajuku, is also undergoing reconstruction. The MOSHI MOSHI BOX too biding its time and is waiting for the opportunity to move and undergo renovations in the brand new Harajuku. It is expected that many more overseas visitors and tourists will be coming to Japan. We will take advantage of the valuable experience we have earned by running the MMB by continuing to promote and deliver Japanese pop culture to the people of the world both on our website and at events and see what kind of information and services people will be demanding in the future. Thank you to everyone that has used the MOSHI MOSHI BOX. We ask for your continued support of the MOSHI MOSHI NIPPON Project.